The Irish journalist had claimed that Hein Verbruggen had tolerated doping and covered up positive drugs tests. IRISH JOURNALIST PAUL Kimmage has been ordered to pay former UCI president Hein Verbruggen more than €10,000, including legal fees, after the Dutchman won a defamation case against the Dubliner. The case, which had been running for more than four years, finally came to a conclusion in Switzerland today and former Tour de France cyclist Kimmage must now pay Pat McQuaid’s predecessor 12,000 Swiss francs (€10,900) for criticising how Verbruggen dealt with doping in the sport during his presidency from 1991 to 2005. Kimmage had claimed that the former cycling chief had tolerated doping, covered up failed drugs tests and treated Lance Armstrong differently to other professional cyclists. McQuaid had also brought a defamation case against Kimmage but dropped it in 2012. Today’s ruling ends a lengthy and costly battle for ‘Sunday Independent’ columnist Kimmage, who was deemed to have defamed Verbruggen in an article he wrote for the ‘Sunday Times’ and in interviews he gave with French newspaper ‘L’Equipe’, Swiss newspaper ‘Au Temps’ and on NYVelocity.com. Kimmage tweeted copies of the ruling earlier today. Last month, he expressed his disappointment at the lack of attention the case was drawing, although he did thank his supporters, especially those who had contributed to the 54-year-old’s defence fund. Not one camera present. Not one journalist present. Not even a chamois-sniffer! And people wonder how cycling got fucked. 2/2 Four years and three months is a long time to be locked in a taxi with the meter running. I would not have made it without you. In 2013, Kimmage began legal proceedings of his own against McQuaid and Verbruggen, accusing them of slander and defamation. But those cases were eventually thrown out of court. Email “Paul Kimmage ordered to pay over €10k for defamation of former UCI president ”. 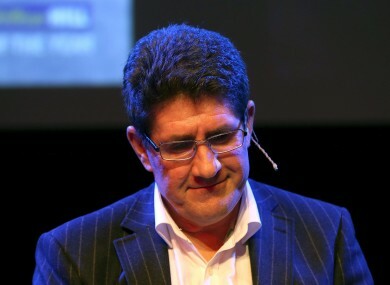 Feedback on “Paul Kimmage ordered to pay over €10k for defamation of former UCI president ”.